What is biliary dyskinesia? What are the types of this condition? Biliary dyskinesia is a state which affects the motility of the sphincter of Oddi, gallbladder, and biliary ducts, reducing the speed of bile excretion. Patients with this disorder experience biliary-type pain, even though diagnostic tools show that there is no evidence of gallstones or cholecystitis. Hyperkinetic – during this form of biliary dyskinesia the gallbladder contracts too frequently and too forcefully. At the same time, sphincters do not open up fully. This causes an acute pain in the right hypochondrium. This type of pain usually lasts less than one hour. Usually it is triggered by intense emotions, worrying, and emotional exhaustion. In women this type of pain can be connected with certain phases of the menstrual cycle. Hyperkinetic form of biliary dyskinesia is more prevalent in young adults and children. Hypokinetic – in contrast to hyperkinetic biliary dyskinesia, this form is more prevalent in middle-aged and elderly people. During this type of dyskinesia the gallbladder and biliary ducts do not contract well enough to excrete all the bile. The type of pain associated with this dyskinesia is usually dull and long-lasting, though it largely depends on the individual traits of the patient. Even an experienced doctor will not be able to make an accurate diagnosis relying on the symptoms alone. Biliary dyskinesia usually presents itself as a series of “flare ups” and remissions. Eventually it may lead to inflammation and formation of stones in the biliary system. Biliary sphincter of Oddi dysfunctions. During the condition episodically the bile cannot exit the biliary system even with sufficient excretory function of the gallbladder. This causes the patient to experience biliary-type pain for an average of 4 to 5 years even after the gallbladder was removed. Pancreatic sphincter of Oddi dysfunction – this condition causes recurrent episodes of pancreatitis with no apparent cause. If all other causes of pancreatitis have been ruled out, a sphincter of Oddi manometry should be performed. Vegetative dysfunction – is thought to be the primary cause of biliary dyskinesia. This disorder influences a large number of other bodily functions including bowel function, menstruation, sleeping, eating, sexual performance, and bladder activity. This disorder is closely linked to emotional disorders; however, the mechanism behind the development vegetative dysfunction remains to be found. Malformations of gallbladder and biliary system – in some cases, the morphology of the biliary system or the gallbladder can be abnormal. 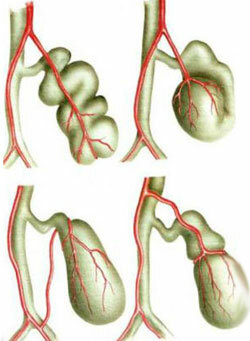 For example, the sphincter of the gallbladder can be too narrow preventing the bile from freely exiting the gallbladder. Such changes can either be hereditary, or result from constant inflammation in the region. Disorders of the gastrointestinal tract – various disorders of nearby organs including the gastrointestinal tract can cause reflectory changes in the motility of the biliary system. Biliary dyskinesia is more often than not a symptom of a disease, rather than being a disease itself. It can be a sign of gallstones, chronic cholecystitis, acute or chronic pancreatitis, and various other disorders of the digestive system.